Keith Harris tribute show: Double DVD coming soon! A double DVD of a special tribute show in which Jimmy Cricket and a host of other well-known entertainers performed is to go on sale soon. 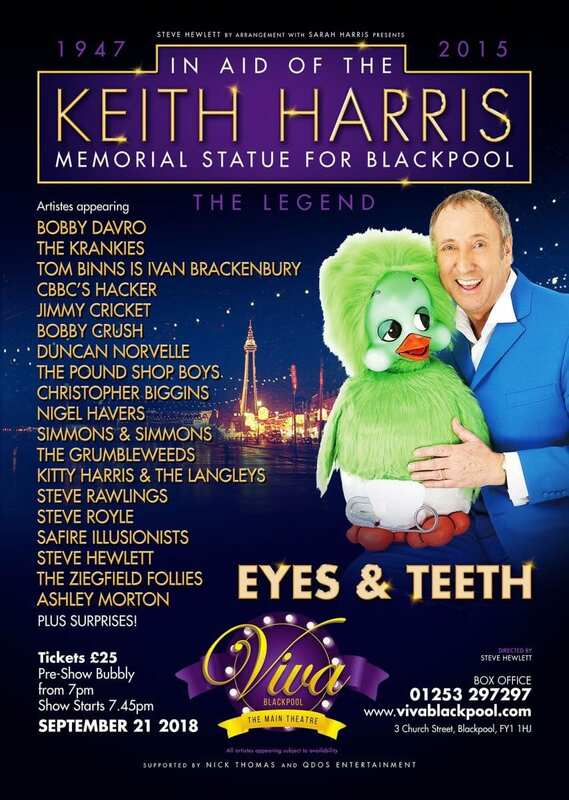 The Keith Harris tribute show, recorded live at Viva Blackpool in September this year, also featured the likes of The Krankies, The Grumbleweeds, Steve Rawlings, Christopher Biggins, Duncan Norvell, Steve Royle, Bobby Crush and Mooky the clown. It is expected that the DVD will be finished within the next few weeks and pre-orders are being taken. If you pre order now, you can purchase for a special price of £18.99. The release price will be £21.99. All proceeds will go towards The Keith Harris & Orville Statue Fund as part of a campaign to erect a memorial in Blackpool for the late ventriloquist. For more details and to watch the DVD trailer, go here. Eyes & Teeth took place on 21 September in memory of Keith, who died in Blackpool aged 67 in 2015. He was best known for his television show The Keith Harris Show (from 1982 to 1990) and for his appearances with his puppets Orville the Duck and Cuddles the Monkey. 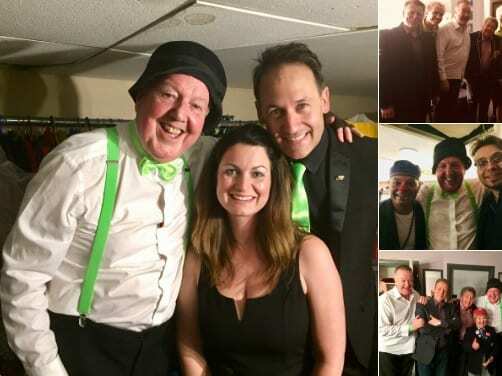 Jimmy Cricket will be appearing with a host of other top entertainers in a fund-raising show in memory of their late colleague and friend Keith Harris. The event, called Eyes & Teeth, takes place at the Viva Blackpool in the west Lancashire seaside resort on Friday 21 September (7.45 to 11.15pm). All the money raised from the sale of tickets will go towards The Keith Harris & Orville Statue Fund as part of a campaign to erect a memorial in the town for the late ventriloquist. Keith, who died in Blackpool aged 67 in 2015 following a brave battle against cancer, had a UK Top 10 hit single in 1982 with Orville’s Song which reached number four in the charts. Other stars appearing in the show alongside Jimmy include Bobby Davro, The Krankies, The Grumbleweeds, Duncan Norvelle and Nigel Havers.